You would be wrong if you thought the Axis Powers stopped insulting America in 1945. Japan set it off with a blackface Obama magician and Germany takes it to the next level with Obama fried chicken. At this point, I half expect an Italian company to sell Obama grape soda to complete the trifecta. So what do you think LOA? 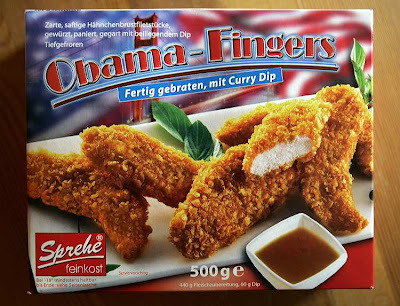 Is German Obama fried chicken racist or not racist? You make the call.